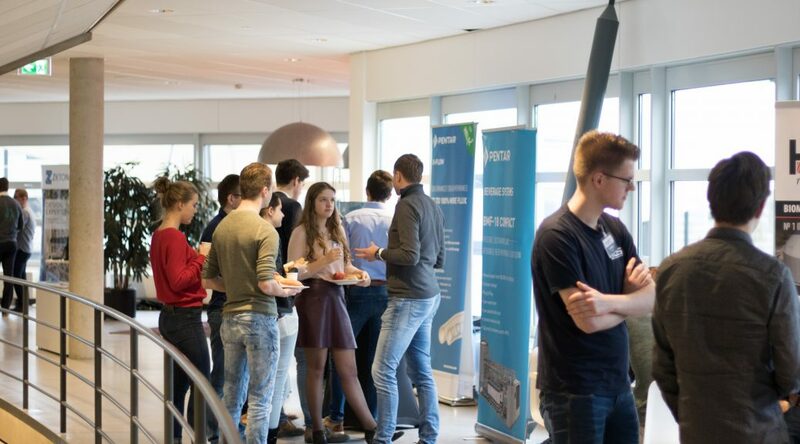 On the 19th of December the CCF was organized in the Waaier building. Over sixty students and six companies participated in the three-hour event. During the small business market, representatives of Convergence, HoSt, LipoCoat, Pentair, Saint-Gobain & Zeton informed engaged students about the employment possibilities at their companies. It was a great opportunity to socialize with companies on a personal level while enjoying a small lunch. The 55th board hopes everyone enjoyed the day and we would like to thank all participating parties for making the event such a great success. If you liked this event, make sure to sign up for the Branche Day!